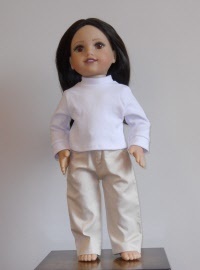 Any of these tops can be selected to add to your American Girl Doll School Uniform jumper. 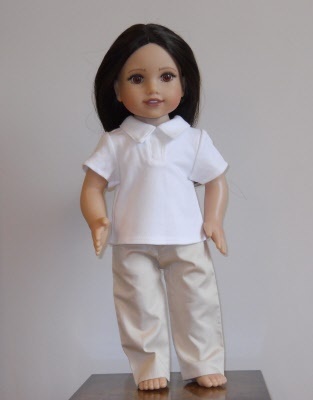 Tops are not sold separately, but included in the uniform price. 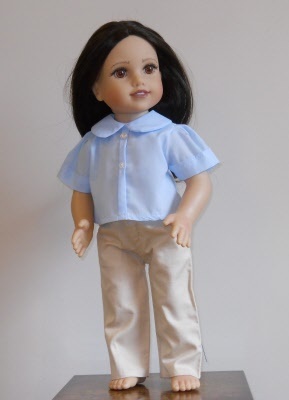 The Light Blue Blouse is often worn with various blue plaid jumpers. The Peter Pan collar blouse has short sleeves and a full back opening. 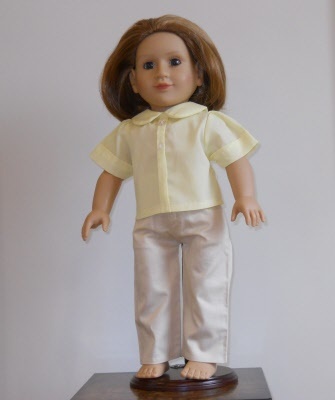 The Light Yellow blouse has a peter pan collar, short sleeves and a full back opening. 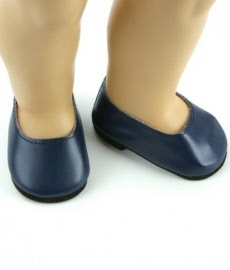 It's often worn with the plaid #55. 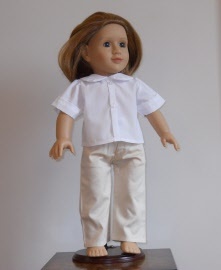 The White Blouse has a peter pan collar and short sleeves. 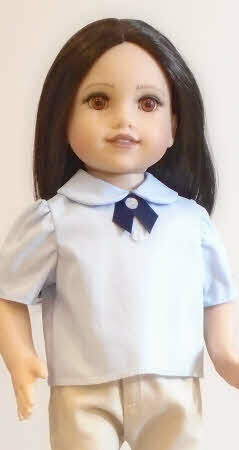 The white blouse is the most popular school uniform blouse. The White Polo Shirt is a popular look for the spring uniforms. It looks great with the pincord blue jumper. The White turtleneck is a favorite with the tunic in the colder climates.